The Tai Chi Hand Form is a series of movements done at a very slow tempo. Wudang Tai Chi Chuan Hand Form is known for it’s graceful, slow and vigilant movements that almost resembles a classic dance, as the Chinese each morning are out in the parks, moving in slow motion. 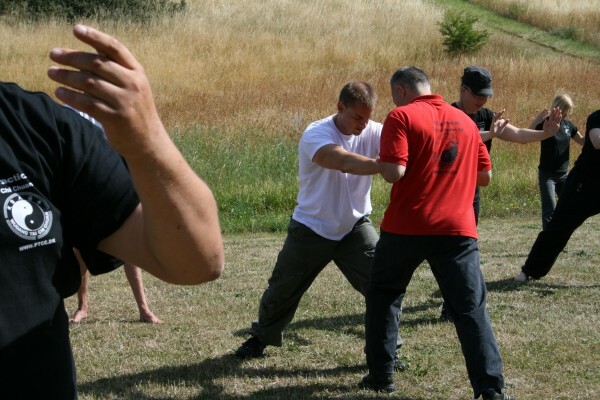 The movements however, has nothing to do with dancing, but are effective Self Defence techniques put together to be executed in a natural flow, like the water streaming through the river. 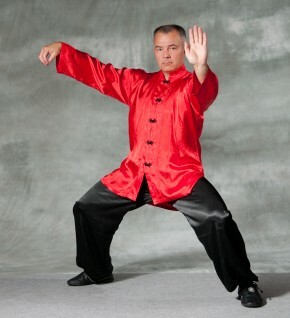 The Wudang Tai Chi Chuan Hand Form is constructed from Self Defence techniques and not the other way around. Observed closely, one may note that the Hand Form techniques constantly shift between defensive and offensive. There are many ways to learn the Forms, but with PTCC DK one must first learn the Square Form and then the Round Form. This is equal to learning the block letters before the flowing script. To learn the Square Form first has several advantages; Primarily that it is easier for the beginner to learn the movements and secondarily that it is easier for the instructor to correct the techniques and making it easier for the student to perform it as correctly as possible from the start. In Wudang Tai Chi Chuan we have 3 different Hand Forms. The original Long Form and 2 Short Forms, which has been constructed from the Long Form. The Short Hand Form are 34 techniques put together in a series that takes about 4 minutes to complete when done in a suitably slow tempo. It’s divided into 6 sections and is first taught as a Square Form, then the Round Form. The Long Hand Form consists of 119 techniques put together in a series that takes about 15 to 45 minutes to perform. It’s divided into 6 sections and would typically be taught one section at the time, both Square and Round. The Long Hand Form is the real Tai Chi. If one were to compare the Short and Long Hand Form to food, then the Short Hand Form would be “fast food” and the Long Hand Form the “real food”. The Advanced Short Hand Form consists of 38 techniques and takes about 4 minutes to perform. It has also been constructed from the Long Hand Form and includes those techniques not used in the Short Hand Form in order to practise these in case one does not have the time to do the entire Long Hand Form. This form is only taught once the Long Hand Form is completed and there is no Square Form, but one learns the Round Form directly, as one should have sufficient knowledge of the Hand Forms already. It is widely used by competitors, as it is more dynamic than the first Short Hand Form. In the clubs of PTCC DK, as formerly mentioned, we always start out learning then Short Hand Form and once learned, one can proceed to lean the Long Hand Form. The Short Hand Form was constructed because it would otherwise take up to 3 years to learn the Long Hand Form. The Short Hand Forms are also used at competitions around the world.